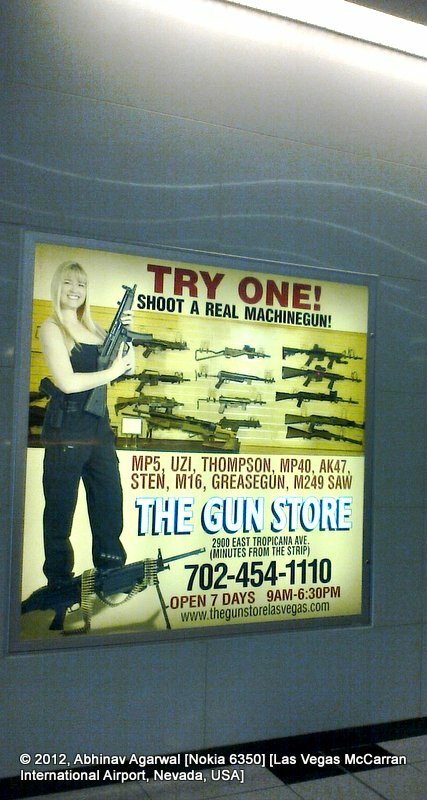 You step out of the plane onto the terminal, and as you walk towards the baggage claim area, you pass by a hoarding advertising a "gun store", where you can shoot guns - pistols, automatics, assault rifles, machine guns, and what not. Why not? Gun crime is after all non-existent in the country, and what else could you do except use the more than two-hundred million weapons in the country except as recreational items over a weekend? And again, who would not want to fire off a few rounds after spending an hour or two on the crap tables in Vegas? You lose money at the casino, and you vent off some steam by firing off some rounds. You wait for your bags at the baggage carousels,and as you look around you see advertisements. All around. 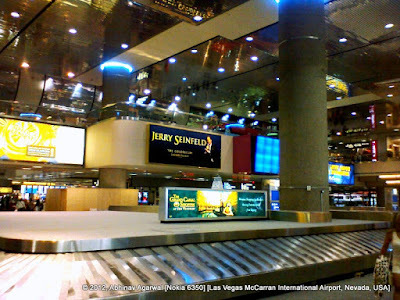 For shows at hotels in the town of Vegas. Seeing around you realize that this is where Hollywood and TV artistes go to when they retire out of the limelight.